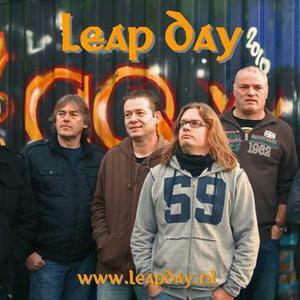 Leap Day was founded by Koen Roozen on the 29th of February 2008. This Dutch sympho outfit has members of wellknown bands from the world of progressive rock, such as Flamborough Head, King Eider, Nice Beaver, Trion and Pink Floyd Project. In 2008 they released their demo cd containing three songs, including Awaking The Muse which is the title of their first full-length studio album released through OSKAR music in 2009. Their second album, Skylge's Lair, is released in February 2011 again through OSKAR music.